It’s called the Ataribox, writes RICHARD BETTS, and it’s a real gamble. Revered brand Atari will soon return to the gaming world with the release of a new console, the Ataribox. The unit has a slick, angular design that gives a nod to Atari consoles past, and one model even comes with wood panelling. Frankly, it couldn’t look more Witchdoctor-friendly if it had glowing valves. 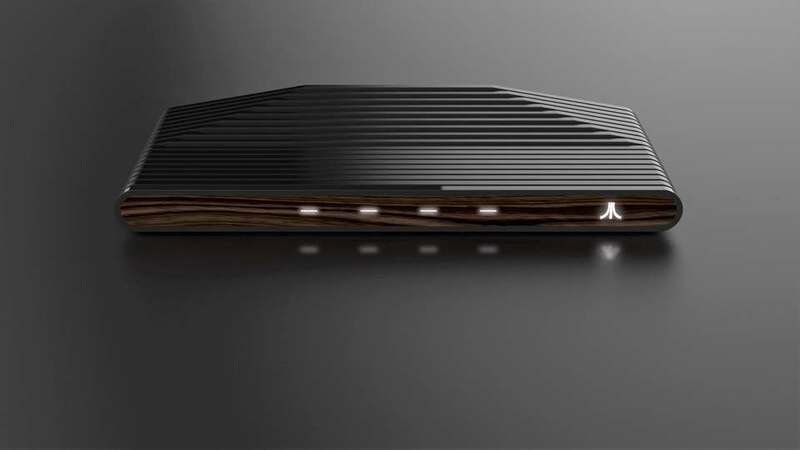 While the Ataribox looks like a stealthy Stylophone, Atari promises a modern console with HDMI ports, an SD card slot and four USB connectors. The company says it will deliver “classic gaming content,” (ie, rehashed old stuff it holds licenses for) as well as new games (tba). Atari’s been here before. In 2005, when the rest of the gaming world was working itself into a hi-def frenzy over Xbox 360 and PS3, the company released the Atari Flashback, a retro gaming console loaded with 20 old titles that harked back to the glory days of lurid colours and block 2D graphics. No one bought it, of course, which has kind of been Atari’s problem for some years – the company filed for bankruptcy in 2013 and is now owned by Frederic Chesnais, a lawyer specialising in mergers and acquisitions. Kudos to Atari for doing this, but the new console is surely a gamble. The retro gaming market is small, and breaking the grip of Sony and Microsoft is no easy task, though Atari will surely take heart from the example set by Nintendo, which faced similar odds when it launched the Wii in 2006. If Atari can do anything like as well as Nintendo, it will have every right to be satisfied with itself. Release dates, game titles and prices are yet to be revealed.